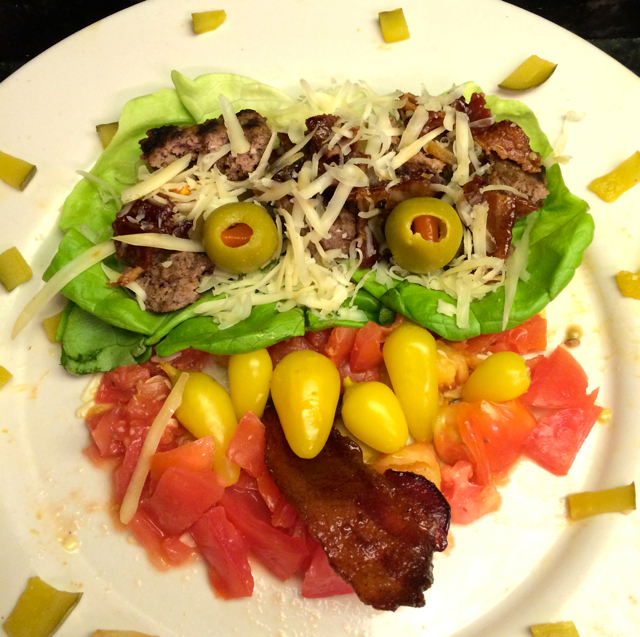 How I wanted to plate “A Popcorn Lips Now” for Frankenfood before we decided to put it into Popcorn boxes. “Go Directly to Online Video. Do Not Pass ‘Go’! Do Not Collect $10,000 Dollars…” That just about sums it up. June has been an interesting month for me with TV Shows. I can’t prove that the writers of Lifetime’s Drop Dead Diva have ever heard of me or my BBQ Rubs company. However, there are so many coincidences in the Episode before the Series Finale… Now that the segment I filmed for Frankenfood has aired, I can take you Behind the Scenes of What Had Happened. 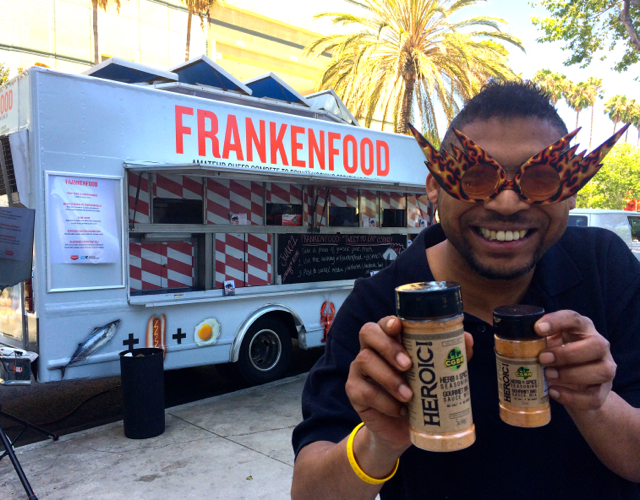 A visit to the Frankenfood Food Truck in Los Angeles. Last night, I watched with great anticipation the “Milwaukee Madness” Episode of the new show Frankenfood on Spike TV. No, I didn’t win the big $10,000 Prize. Yes, I am barely seen in the show that aired. But they were kind enough to feature me in an Online Video called “Frankenfood: Frankenfail: Popcorn Lips Now”. On the day of the shoot, I thought my round with the Judges went pretty well. Judge Josh played with my sunglasses and couldn’t stop eating my BBQ Popcorn dish. Judge Tony said “This Seasoning is Genius. I am going to take it and make a Million Bucks.” So when my Dish wasn’t right for Judge Krista’s “upscale” Wisconsin restaurant, and they were throwing things at me, I decided to throw my business card back at Judge Tony. You’ll have to see what they did with editing, where they took out all of the positive comments about my flavors (though you see Judges Tony and Josh licking their fingers- Spit Bucket is nowhere in sight). Yes. I will still maintain my sense of humor. I will continue to watch TV, even Frankenfood. I am sorry to see Drop Dead Diva expire after only 6 Seasons. [Which may be 5 more than we’ll ever see of Frankenfood?] Time will tell. In the meantime, I will work on getting a real Publicist for some positive Press. A sincere Thanks the show’s producers for inviting me to compete. I wish Frankenfood the Best of Luck. And to Judge Tony: You can still call me. Let’s make that Million Bucks together. Until next time, Eat and Be Well.